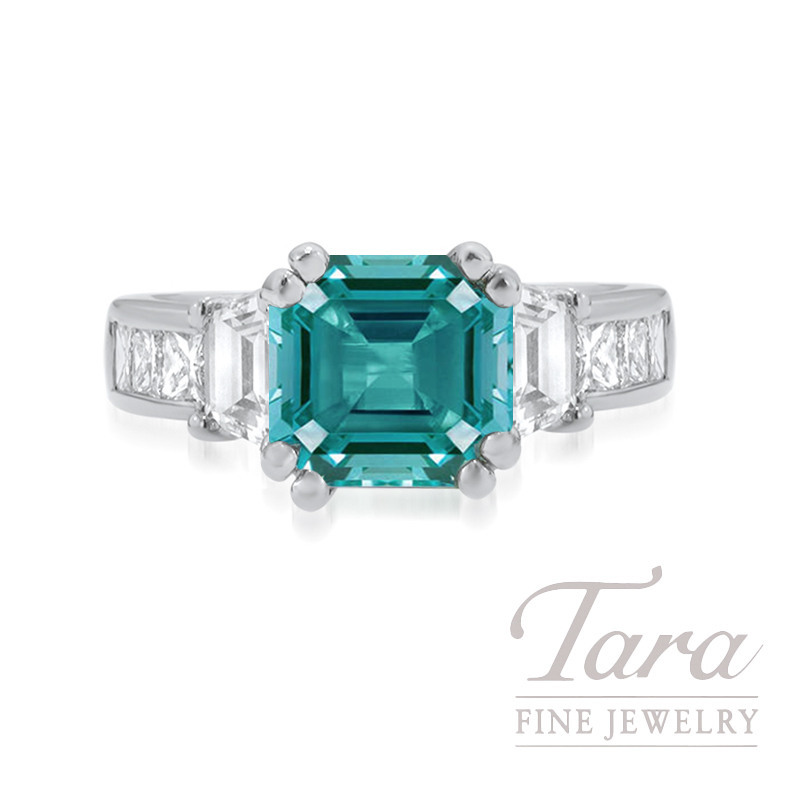 At Tara Fine Jewelry Company, we are Jewelers in Atlanta specializing in beautiful Designer Jewelry and Diamond Rings. Enjoy the unique beauty of this spectacular A. Jaffe Platinum Tourmaline and Diamond Ring - now featured at Tara Fine Jewelry Company, your Atlanta Jeweler for quality Gemstone and Diamond Rings in Atlanta. This outstanding A. Jaffe Ring flaunts a grand design with 6 Princess Cut Diamonds and 2 Trapezoid-shape Diamonds for a total of 1.58TDW in the mounting. To give this ring a unique flare of color, the ring has been paired with a fabulous 2.55CT Tourmaline Gemstone. You'll love the fabulous glamour style of this A. Jaffe Ring, topped with a radiant flare of color that is sure to steal your heart!